While there are plenty of options for your to consider when it comes to outdoor environment enhancements for your Eastover home, among the most popular are hardscapes and patios. There are plenty of reasons that you should consider adding features like this to your home. For one thing, this is the ideal way to add property value to your home. Your house is your investment, so it makes sense to want to increase the value. For a more obvious reason, you and your family should be able to enjoy every aspect of your home, including your yard. Plus, of course, there is the fact that any enhancements you make to your yard help with increasing curb appeal and helping to make the best first impression. So now that you know some of the reasons hardscapes and patios are a smart addition to your yard, now you should just know more about what your options are. Hardscapes are any element added to your landscape design that are non-living and man made; from their your options vary widely. These items are usually made of materials such as harder materials like concrete or stone as opposed to softscapes which are made up of horticulture elements. Water features are often considered hardscapes because they have a hard retaining wall element; but not all hardscapes have to include water. A patio, as you probably already know, is a paved outdoor area that adjoins a house. They do not have to be attached though, this is up to you and your contractor and depends on the layout of the land. They are often placed in the center of a courtyard and do not have to be surrounded by walls. They are often designed and placed with the views of the great outdoors in mind. In order to make decisions about your yard and landscaping, you should first make sure that you are working with a team of experts capable of taking care of your individual needs. 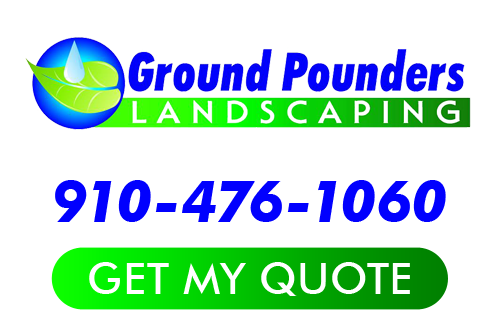 At Ground Pounders Landscaping, you can expect to find the best in superior quality service which includes getting the information you need to make the best decisions. We look forward to working with you and helping you create the look you want. Since 2007, we have been the name that locals rely on in order to get the job done. We are the top pick for all outdoor environment enhancements, including Eastover hardscapes and patios. Let us show you in person how we have earned the reputation that we have. 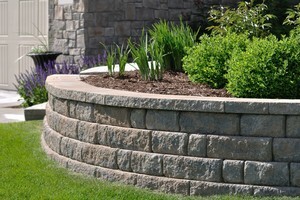 If you are looking for an Eastover hardscapes then please call 910-476-1060 or complete our online request form.